The Palmengarten. 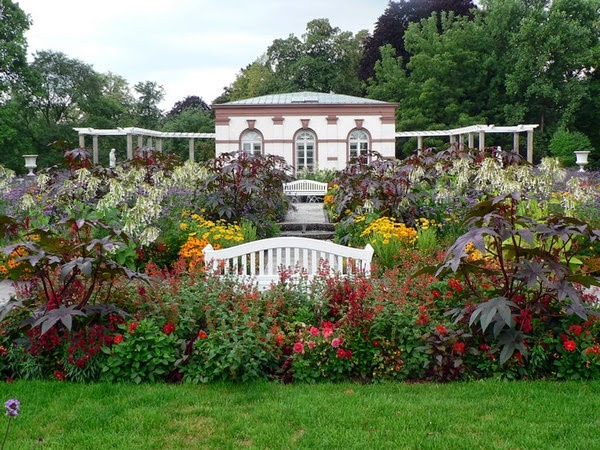 This is a HUGE botanical garden right in the middle of Frankfurt. The explosion of flowers, the water fountains sprinkled throughout the city, the sweet little shaded corners, the cozy lawn chairs, the delicious pastry shop next door to the gardens, all of this beckons and equals a great spot to spend a Sunday or Saturday afternoon during the summer time. Along with a picnic, a book and some cards, this is the perfect summer spot. Cafe Crumble (specifically, out back on the patio). 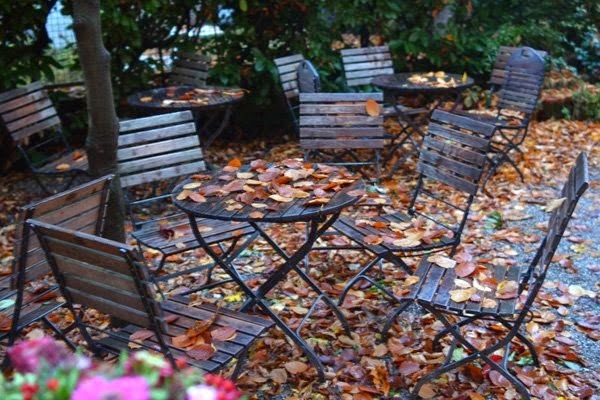 During the summer time, the patio is filled with people chatting, drinking tea or coffee, eating cake or lunch and even some playing cards. 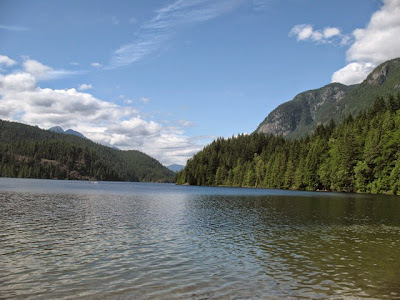 This is a sweet, secluded little spot to hang out with a friend and relax on a summer afternoon, or even go to read on ones own. 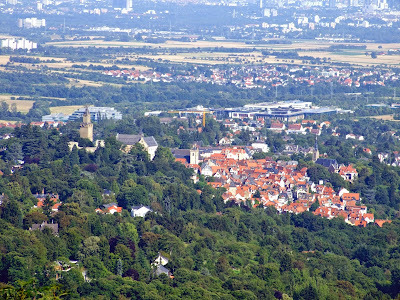 Heidelberg. 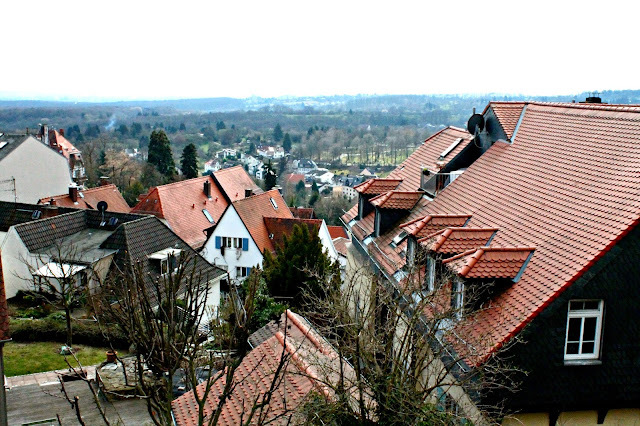 The number one most day-tripped to city in all of German, so they say. 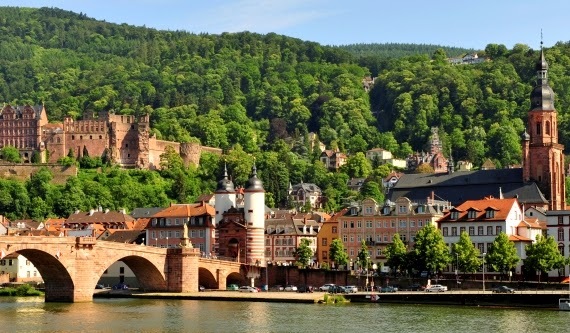 Just one hour by train from Frankfurt, Heidelberg is a beautiful, hilly town with a gorgeous castle looming on the hill over the city. 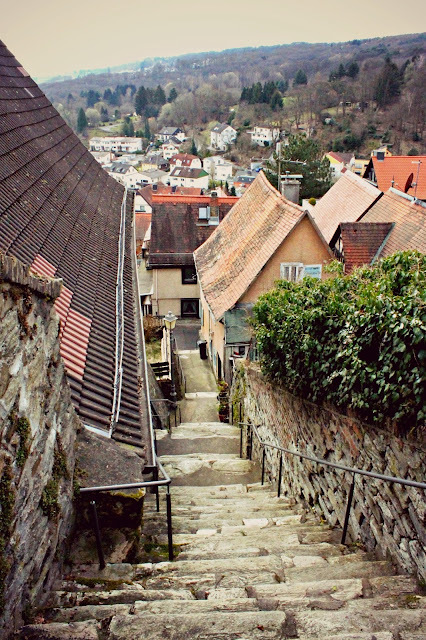 One could easily pass a Saturday or Sunday exploring this city, lounging at a cafe, snapping photos, hiking the hills, relaxing and enjoying a beer, the activities are endless. Next to the Main River. 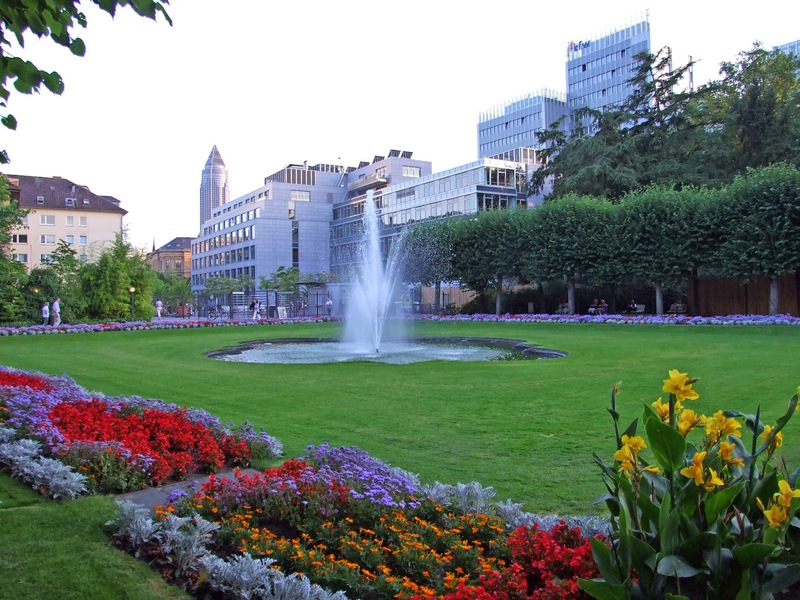 As you can see, during the summer time, this is one of the places in Frankfurt to be. Bring a picnic, and a friend, and hang out here during a sunny afternoon. People play music, chat, have drinks, laugh, its just a lively and fun area. By the lake in Darmstadt. This is not an actual photo of one of the lakes in Darmstadt, but there are a number of nice little beaches along the sides of lakes throughout Darmstadt. This always makes for a really nice beach day. 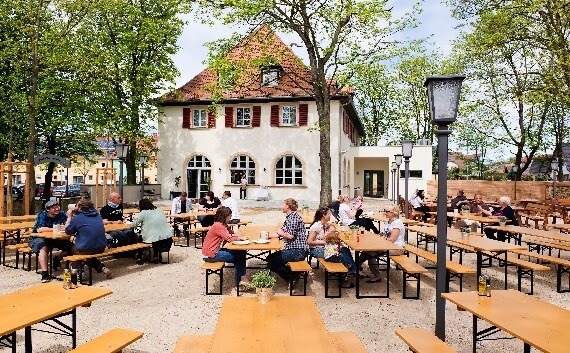 A Biergarten. 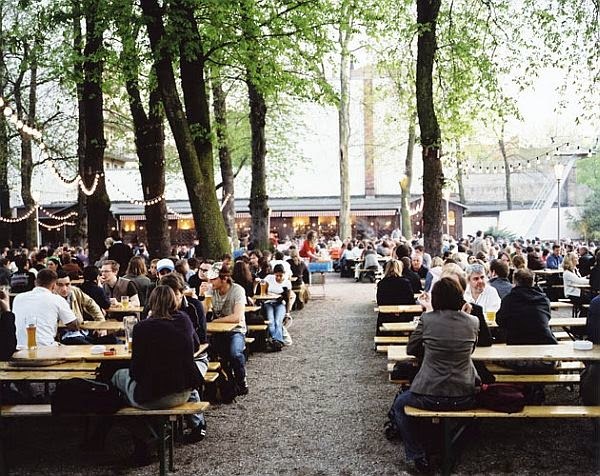 The quintessential German place to go for beer and food. The atmosphere is fun, charming and lively. After dark, many of the biergartens often have magical looking little white lights strung up around the trees giving the area a romantic glow. This is lots of fun. 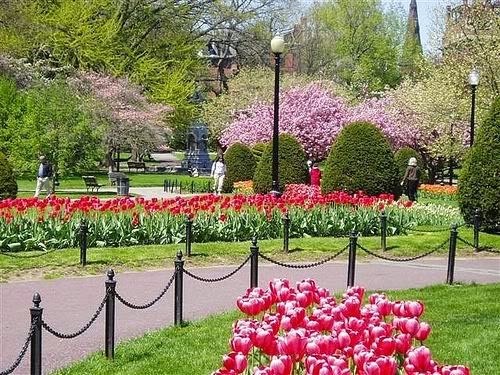 Boston Commons/Boston Gardens. 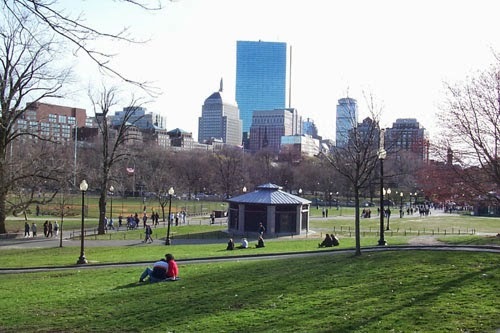 Good old Boston (where I lived for 5 years prior to moving to Europe). 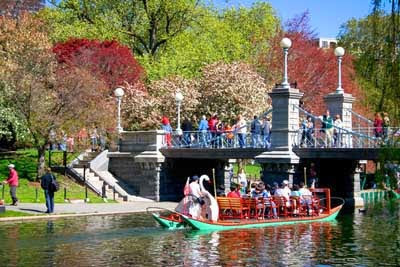 The nostalgia is hitting me ;-) Boston Commons or the Public Gardens are the PERFECT places in the city, beautiful, colorful, ulta-charming, to relax with a book and picnic. As well as for some prime people watching. 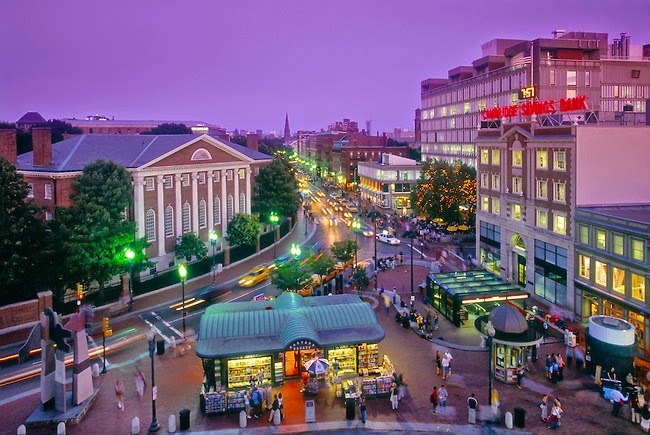 Harvard Square. 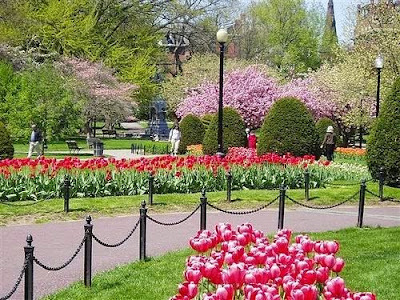 Collegiate, red-bricked, with a slight European feel, trendy shops and numerous delicious restaurants, this is a fantastic place to spend an afternoon during the summer time, just outside the city of Boston. Back Bay. 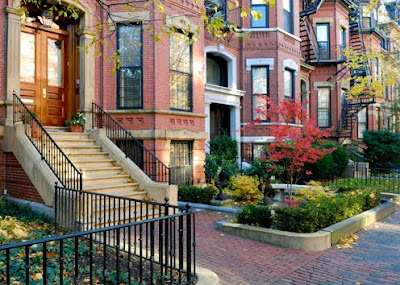 Another incredibly charming area of Boston, also with European flair. 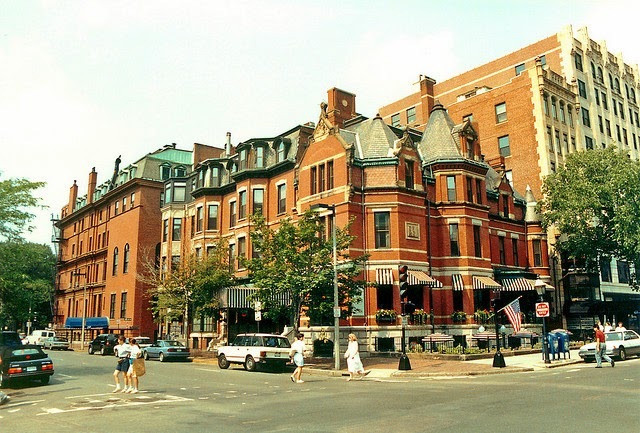 The red-brick apartment buildings (definitely one of my ultimate dream addresses), the numerous cafes dotting the sidewalks, the fun shopping, little pastry shops, and just a few stops away from the Boston Public Gardens. 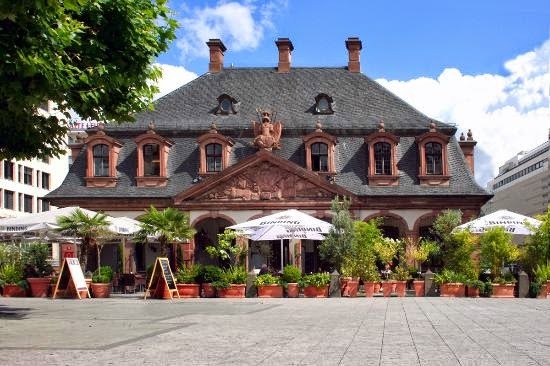 Cafe Hauptwache in Frankfurt. This actually used to be an old jail, housing numerous criminals years ago. So cool! Now its a trendy, very happening cafe. Would be the perfect place to go with either a friend, a date or a book during the summer time. By the river in Hochst (where I live!!). The perfect place to lounge, bike ride, picnic, play cards or chess. Kronberg for the afternoon. This is one of my very favorite cities in Germany that I have seen thus far. A gorgeous, super traditional German architecture, little town. 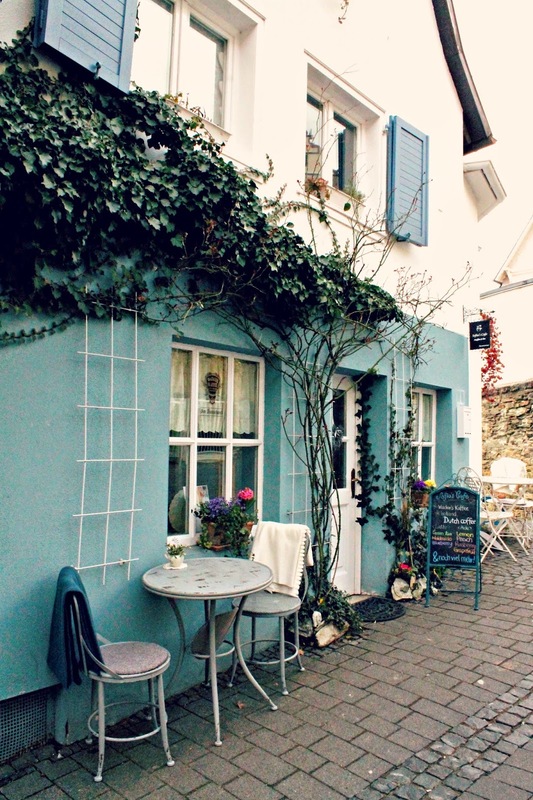 All winding roads, cobble stoned lanes, cafes and beautiful little homes. Taunus. 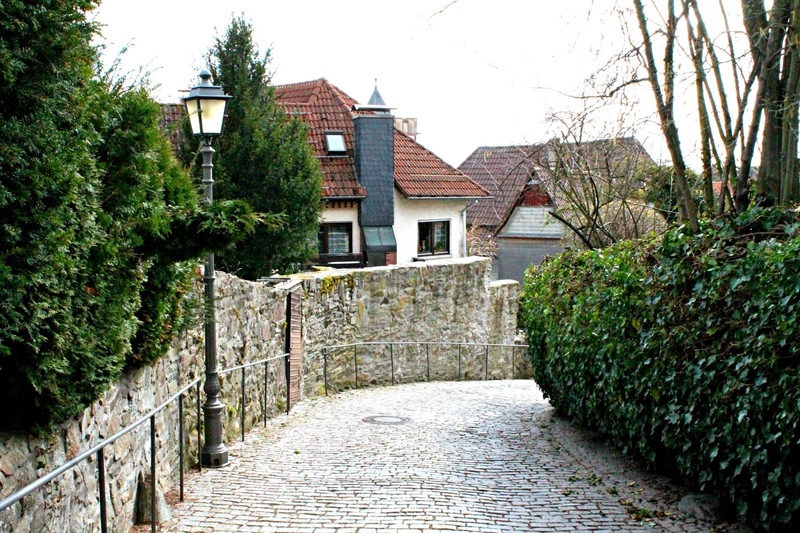 The mountainous area outside of Frankfurt, where one can take the train to either go hiking, enjoy other activities outside, or check out any one of the small, charming little towns dotting this area (Kronberg is one of them). 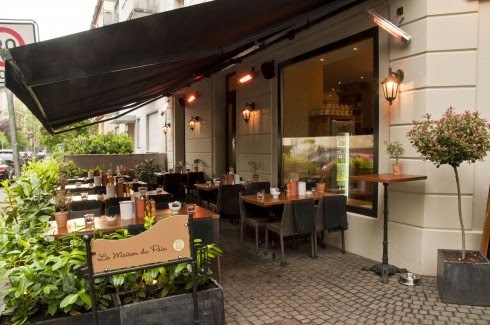 Maison du Pain. LOVE this french bakery. Their have bomb raspberry eclairs, blueberry fruit tarts and pain au chocolat. I enjoy sitting here with a tea and my book. The HUGE park right near Eissporthalle in Frankfurt. This is a GIGANTIC park, begging to be walked and explored. It makes me think of a cross between Central Park in NYC and Boston Commons in Boston, MA. This would be the perfect park to play football or Frisbee in, also wonderful for a picnic and to relax. 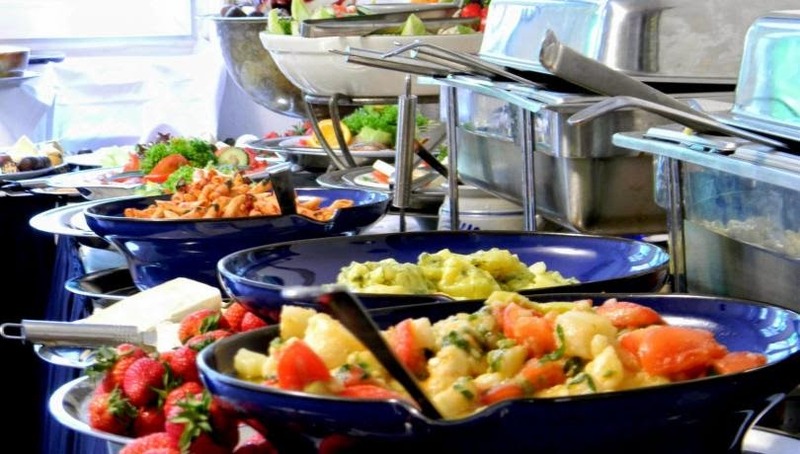 Cafe Albatros. Not only do they have an incredible all-you-can-eat brunch spread (eggs, bacon, sausage, vegetables, croissant, macaroni and cheese, crepes, tiramisu, etc) for 10 euros but they also have a great little patio to sit out on.